Debut album from this Oslo-based Norwegian quintet who takes you on a journey into the sombre, powerful landscape of prog with melancholic moods and psychedelic atmospheres. The music has clear roots in the experimental and progressive rock from the period 68-75 and embarks you on a ship fully loaded with heavy hammond organs, gloomy mellotrons and jazzy electric piano combined with classical instruments like cello, flute and saxophone. So far the band have been nothing but celebrated in the press, getting compared to bands like VAN DER GRAAF GENERATOR, AMON DÜÜL and KING CRIMSON. 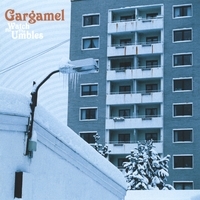 Take this quote from the review in "Sea Of Tranquillity" for example: "It's hard to imagine that GARGAMEL will fail to make a splash with Watch for the Umbles, a dark and complex prog rock opus that has all the characteristics that lovers of the genre want to hear."